Tyneisha Wilder dreams of a day when the snot rags, diapers and white teddy bear her son loves are no longer a twice-a-month occurrence, but a routine. The 18-year-old dreams of the bedtimes when she and her son can sleep in the same room. She dreams of a future where she can be his sole provider and guardian. But her aspirations could remain just that — a dream. 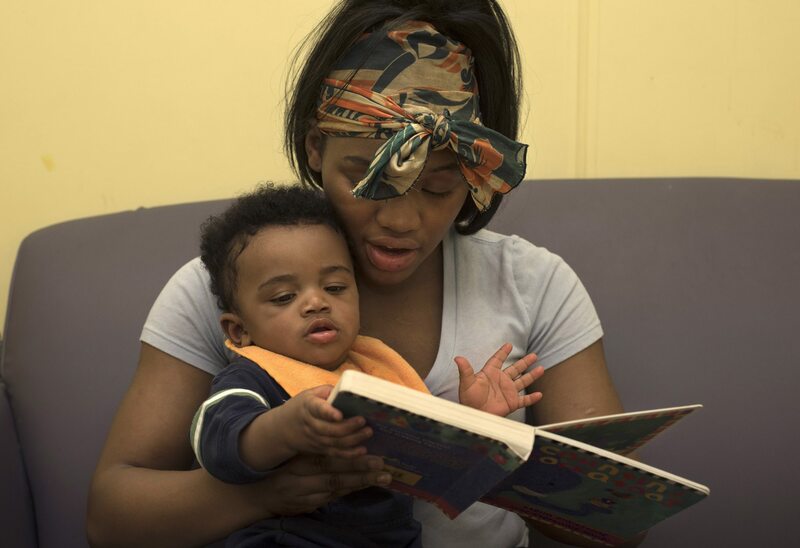 PublicSource featured Tyneisha and her son in a June article. For nearly the whole year and four months of the boy’s life, Tyneisha has been trying to get more visits with him and regain full custody of him. According to Tyneisha’s foster mother, Michelle Swanson, a judge could terminate Tyneisha’s parental rights on Dec. 15. If that happens, her son could be adopted by someone she doesn’t know, someone who may not want to have her in his life. More than a year of efforts to prove herself as a mother, participating in parenting classes, therapy and supervised visits as required by CYF, could be for nothing. But the court’s stated goal is to reunify Tyneisha and her son, according to ACHIEVA Parenting Education Specialist Julianne Bendzsuk. So Tyneisha and her supporters are hanging their hopes on a patient judge who believes in the importance of a mother-child bond, and a program called Life Sharing provided by ACHIEVA, a nonprofit that provides educational, career and other support for people with disabilities. 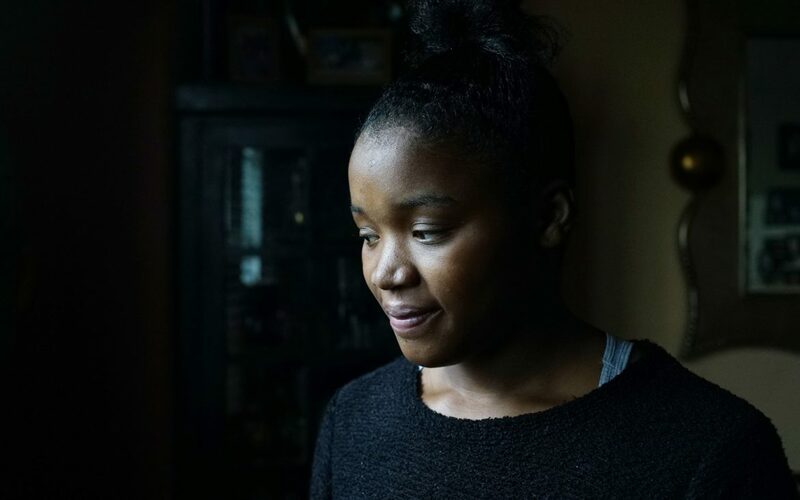 In Tyneisha’s case, Life Sharing would help her to continue living with Michelle in their Wilkinsburg home and retain her parental rights. Tyneisha would have access to the skill-building she needs, and the program could help her transition into an independent living situation when the timing is right. The catch is that Tyneisha is on the program’s waiting list. The only condition that could hasten the wait is an emergency situation. ACHIEVA could not share specifics on what would be considered an emergency situation and who decides that or how long the waiting list is. But because Tyneisha has a stable home and a supportive foster mother, the clock continues to tick. CYF cannot comment on specific cases for confidentiality reasons. 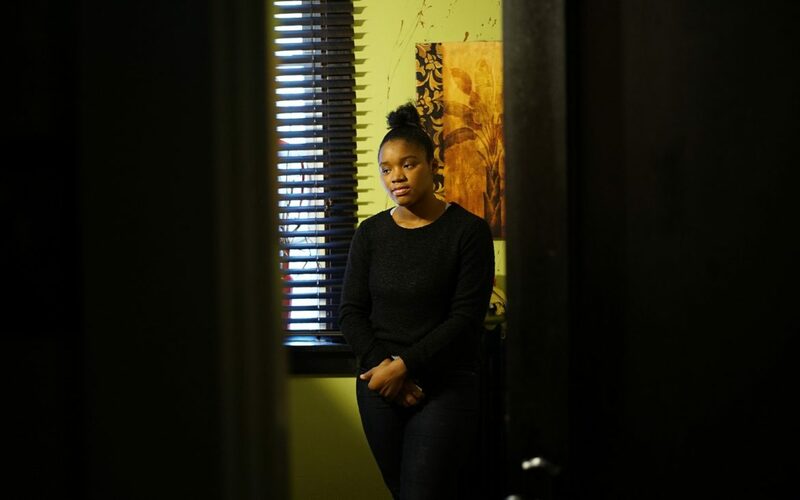 When a PublicSource reporter and photographer visited Tyneisha’s home to get an update on their lives, Tyneisha was making pancakes for her son. The curious boy clung to his white teddy bear as he looked up at his mother posing for a PublicSource photographer. The toddler can’t be in the picture with her. After the last story, the Allegheny County Office of Conflict Counsel–Dependency Division obtained a court order that says he is not to be made available for photographs and his name should not be identified. The order gives no other details. The court order does not mention PublicSource specifically. We chose not to name the boy at Tyneisha’s request. Since PublicSource’s first story about Tyneisha, she has enrolled in the culinary program at the Community College of Allegheny County in the North Hills. She takes classes five days a week. She says she wants to become a chef and work in a restaurant to provide for her son. Right now, Tyneisha’s son only visits her twice a month. She warns him not to touch things that aren’t toys and comforts him when he gets fussy. Still, her foster mother must shadow Tyneisha the full 24 hours she is with her son. Michelle loves the boy and wants to ensure he stays close to his mother. With a potential termination of Tyneisha’s parental rights looming, one may wonder why Michelle doesn’t just adopt him so he isn’t taken in by an unknown family. She says she doesn’t want to adopt him away from Tyneisha, though. This, to Tyneisha and Michelle, is of the utmost importance. Michelle wants Tyneisha to have the agency and responsibility of being his mother. Tyneisha could continue to live with Michelle, but retain her rights as mother and together they could work toward the future she’s striving for. Tyneisha and Michelle say they feel Tyneisha is subject to extra scrutiny because her mother abused her and CYF thinks she will do the same. (Tyneisha’s caseworker is also her son’s caseworker.) Tyneisha uses therapy to cope with what her mother did to her. The parenting classes help to ensure she doesn't make the same mistakes and knows how to take care of the toddler. Tyneisha is still optimistic about the future she is building for herself and her son. Correction (11/16/2017): A previous version of this story incorrectly identified the agency that sought the court order regarding Tyneisha Wilder's son. The Allegheny County Office of Conflict Counsel–Dependency Division requested the court order, which was granted.